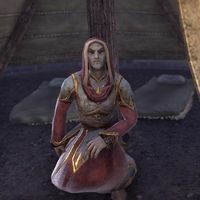 Acolyte Ralas is a Dunmer priest found in the city of Ebonheart. When spoken to, he tells you his deep insight linking rodents and foodstuffs. "Rats in the supplies. Lord Vivec sent them, I know it. Just as in the scriptures … a living parable!" This page was last modified on 7 March 2019, at 13:37.